The Oak Vancouver Pattern 10 as a Fire Door. 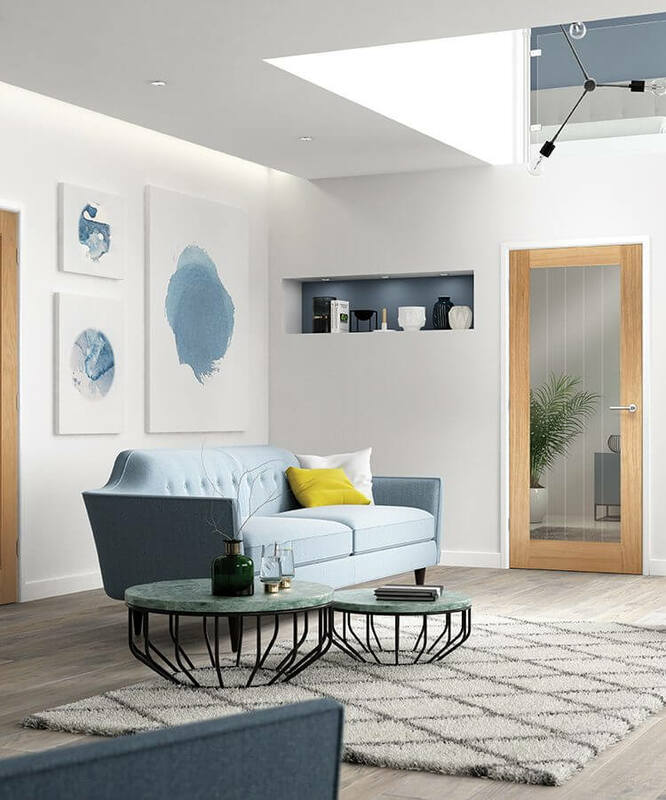 This is a contemporary-styled door featuring a large centred vertical clear glazed panel. 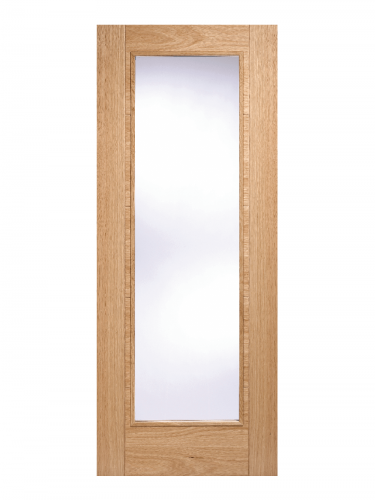 A manufactured door featuring 10mm solid oak lippings over a solid core. Faced with oak veneer, this pre-finished door has both vertical and horizontal V- grooves which provide extra symmetrical detail. It also has raised mouldings around the glazing panel. Recommended for all internal locations where privacy is not an issue. Pre-finished it requires no further treatment and is ready to hang. It comes with a manufacturer’s 10-year warranty. Adjustments can be made on all sides up to the depth of the lipping to make it a perfect fit for new and existing door frames. Hinges and door handles are not included. We recommend a minimum of four hinges for this door. This Fire Door achieves a fire safety rating of 30 minutes for areas requiring a greater level of protection – specialist advice should be sought on which areas require fire doors; your architect or local building control officer should be able to help.